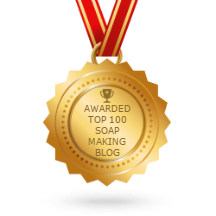 So no new soaps are being posted here today – I’m waiting for the fragrance oils to arrive. I ordered several from a very reliable supplier and since they aren’t here just yet, it gives me time to do plot, plan & make merry mischief of a soapy kind ahead of time. Many soapers love to use goat’s milk in their soaps for lots of very good reasons, the main one being it’s such a great additive to use in soaps for those with extra-sensitive skin or for those with skin problems that are chronic in nature like eczema or psoriasis, The downside to using goats milk in cold process soaping can be seen – and often smelled – when you use it in a batch before reading everything about the how & when to use it that works best for most soapers. Many soapers have added it to the lye as a liquid in place of the water only to have it scorch, reek to high heaven and turn vivid orange. The ammonia smell lingers in the air for a lot longer than the soap, which is fortunate for the soap users but not so much for the soap crafters. Many have had a lot of luck with trying to add it as only a partial replacement for the water, soaping very cool, using ice cube trays to freeze the milk first, then adding it to the water and then the lye, so the risk of scorching and discoloration is greatly reduced. This is probably what I’ll try when I get back to soaping again and I’m really looking forward to trying out goats milk for the first time. I froze most of mine in a couple of ice trays, then popped them out (easier said than done actually) and put them into a ziploc bag. There was just a tiny bit left over in the bottle, so that was poured into a small Glad snack-sized storage container and frozen as a chunk. These can be kept frozen right up until the time they are ready to be used. I’ve used coconut milk for a long time, so it’s become pretty much a standard part of every batch I make. The lather is richer, creamier, softer, denser than without it. Every bar is such a luxury that I know I’ll never go back to soaping without it. 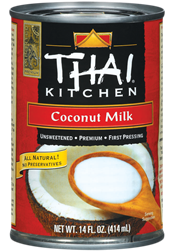 I use a coconut milk from the Thai Kitchen brand. There are several versions including organic and ‘lite’, but I like the original which has the highest amount of fat per serving. This fat level allows you to superfat your soaps, so if you use this, be sure to reduce the percentage of the lye discount in your recipe! If you don’t, your soaps might come out too soft. It doesn’t have a coconut-y smell so if that’s what you’re hoping to achieve, you might want to look for a really good fragrance oil that will stick because there’s no discernible scent to this ‘milk’. 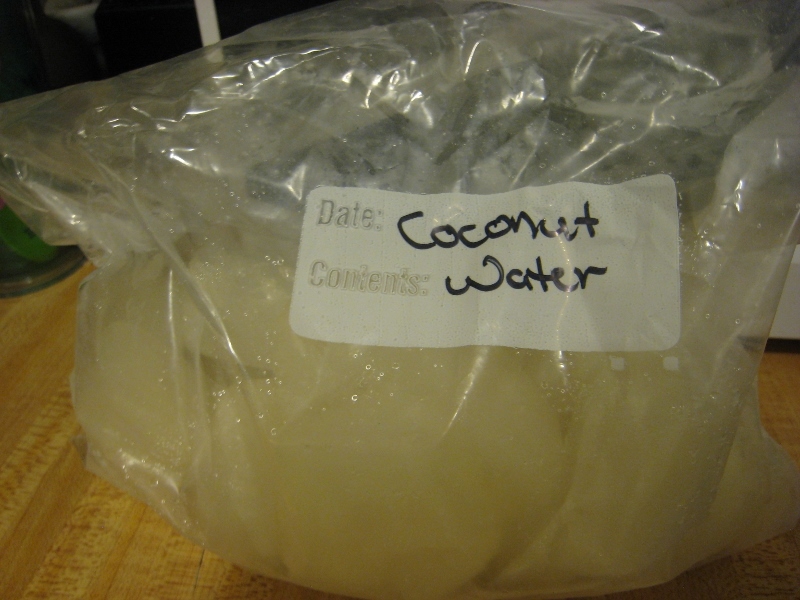 Coconut milk doesn’t actually exist in nature. It’s a man-made product produced when coconut meat is pulverized, mascerated, or put through some sort of similar process to finely grind it up and it creates this thick, white, liquid that is sometimes thinned or increased with coconut water. If you haven’t tried coconut milk, you don’t know what you’re missing! 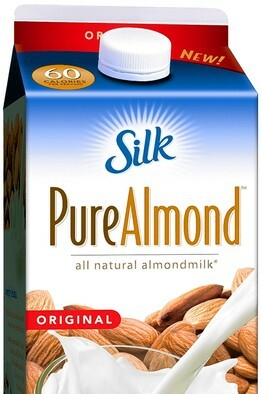 I have tried almond milk, which is created much the same way as coconut milk only with almonds instead of coconut meat, but honestly I wasn’t that blown away by the results. It was just okay and really had no obvious benefits over other soaps without it, so it wasn’t repeated. 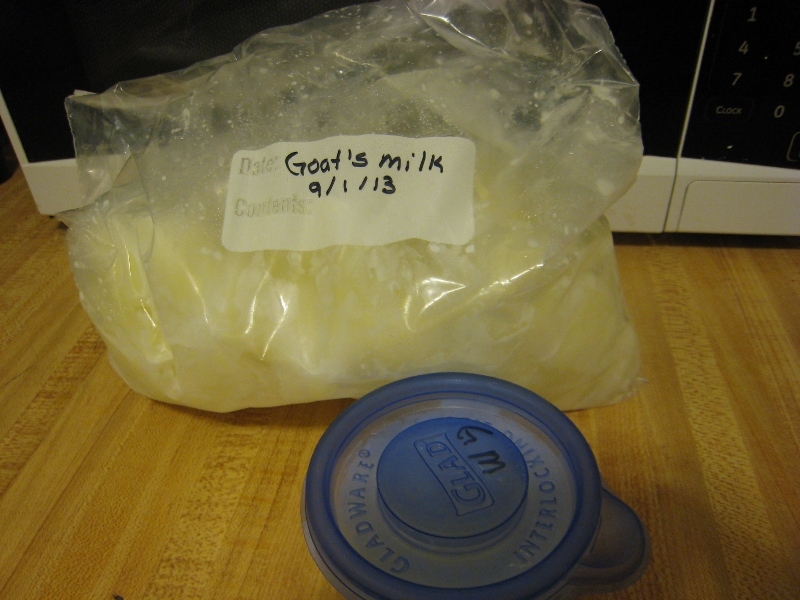 Though I’m sure there are many beneficial aspects of almond milk had I tried making it from scratch, but the idea hit while I was in the grocery store, so it isn’t a fair enough evaluation, so we’ll revisit this type of additive at a later date when I can give it the fair trial it deserves. Next time though, I’ll mix up some on my own instead of using the store bought kind. Fewer additives that way AND there’s the side benefit of getting the meal left behind during the straining step that can also be used in the soap as a nice exfoliant! I have not tried any other milks – yet. The goat’s milk is going to be done very soon, though it’s still not decided yet on what colours or fragrance I’ll use with it. I just know that I’m anxious to try this out and see for myself what all the fuss is about. More recently, there’s been a bit of buzz going around soaping circles about donkey milk. Something we don’t have any suppliers of in the states, so if anyone out there has donkeys and allows them to reproduce, you might have a niche sideline in your future with soapers seeking this unique soaping additive. Similarly, if anyone who reads my blog posts knows of a supplier of any form of donkey milk, whether dry, powdered, or in liquid form, please let me know. You’ll have customers! Very happy ones! Another goodie that I’m waiting to try out is the strong stuff. Hard cider, red wine, and oh my, champagne! I’m really exited to try these out too as a part of the liquid in the cold process soap making adventures planned in future. I’ve cooked out as much of the alcohol in those three as I could, stored them in mason jars and they’re now waiting quietly for me to let them come out to play on some later day when all the other soaping planets align. I really wish I had a certain fragrance for the champagne, but alas, I do not. It would have to be something really special and honestly it not to be found in my fragrance cabinet. 😦 These will still have a certain amount of sugars as many alcoholic beverages do, so they’ll definitely be resting in the freezer for a time right after the pour. One liquid that many have also tried is aloe juice, which is great in soaps for soothing irritated or burned skin, like sunburns, though mainly for milder ones. Aloe juice if used straight out of the bottle. chilled, is fine and will prevent the lye from getting too hot, but it will heat up the juice enough to cause some caramelizing of the sugars that are present in the juice in its natural state. If the lye comes in contact with the juice in this state, just cooled in the fridge, it will likely turn a rather dingy brown colour, which is sometimes hard to overcome in soaps. To avoid this, try freezing it into cubes. 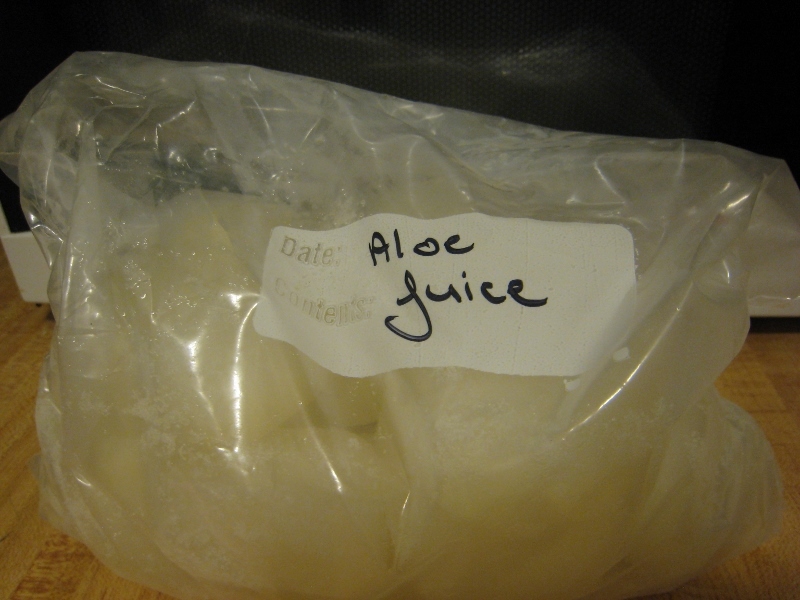 The lye will still dissolve, will still heat up, but won’t burn the naturals sugars found in the aloe juice. I’ve used aloe juice several times in various soaps, but only recently hit on the idea of freezing it into cubes. I doubt it’ll be brown when I soap with it from here on! Another liquid that also is finicky with the heat generated by dissolving lye is coconut water, which turns a nasty vivid orange colour! Ick! So, freeze this into ice cubes and that should take care of that ugly issue. Coconut water added to a soap that already has coconut milk in it is supremely bubbly and I love how the soap turns out so silky, bubbling everywhere, and a firm bar to boot! Just fantastic all the way around! There are vitamins, loads of easy to digest carbs and electrolytes. No fat, and more potassium than 4 regular sized bananas! 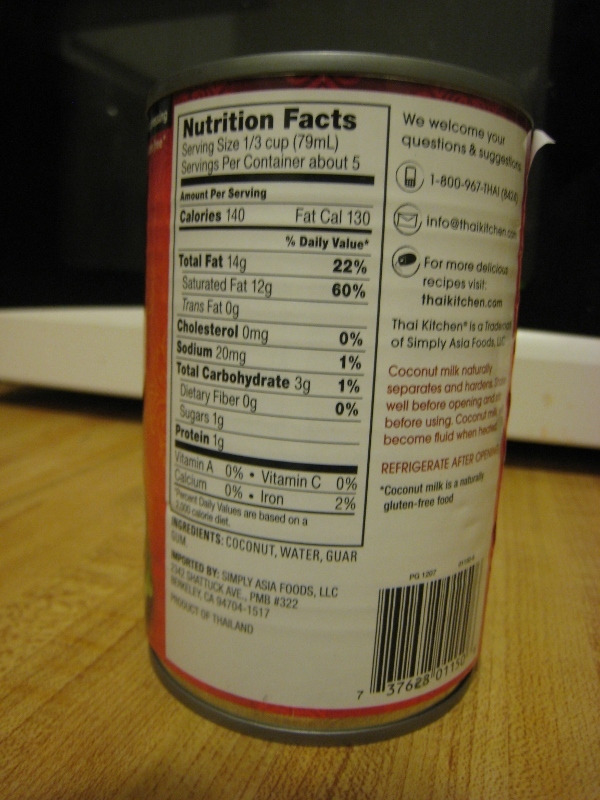 It’s far better for you than a sports drink that’s loaded with sodium. Coconut water isn’t. But that’s only if you drink it. Used in a soap, what does it bring to the table? It’s loaded with those minerals, as mentioned earlier for the drinkable form, like magnesium, potassium, calcium, phosphorus, and sodium plus it’s highly hydrating. Commercial body washes are only now discovering what we soapers have known for a long, long time. Natural things are much better for you than the products produced in a lab. The plus of never testing our products on animals is much better for all concerned not to mention far more humane. One other thing that I look forward to trying out is the divider purchased from Etsy for use with Mantra and Taiwan swirls. The rigid dividers and their brackets should be arriving next week sometime. 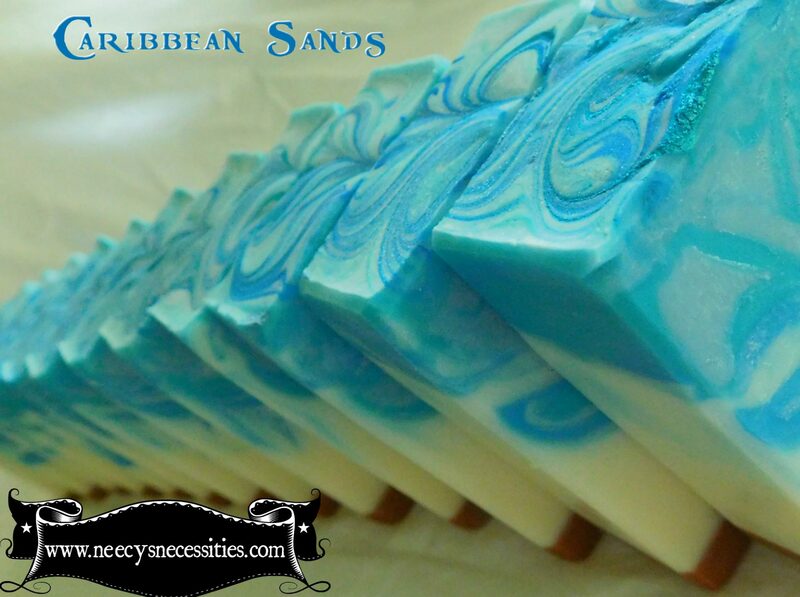 I found the link to the maker of these through Kathy McGinnis’ post in her YouTube video about making a soap that had a mantra swirl done. The link can also be found here and they are made to fit the red silicone 4 lb soap molds sold by Essential Depot which are 11.25″ long x 3.25″ wide x 3.7″ deep. This is the size for many 4-6 lb loaf molds and I’ve listed the interior dimensions so you can measure your own molds to see if these dividers will fit what you have in the event that you don’t happen to own a red silicone mold from Essential Depot. ED is having a sale right now though if you are interested in purchasing one of these molds. They’re regularly priced at $39.99 each but right now they’re reduced to $24.99! Now would be a great time to grab one up while they’re specially priced. So, lots of mad experimentation is awaiting a good day in the very near future for some fun in the soaping lab. The soapy mad scientist is taking notes, storing up supplies, and will soon be running amok in the lab once more. Bwah ha ha ha ha!